Recognising the work of 12 Malaysians amidst good company, engaging conversation and, most importantly, a spirited exchange of ideas. 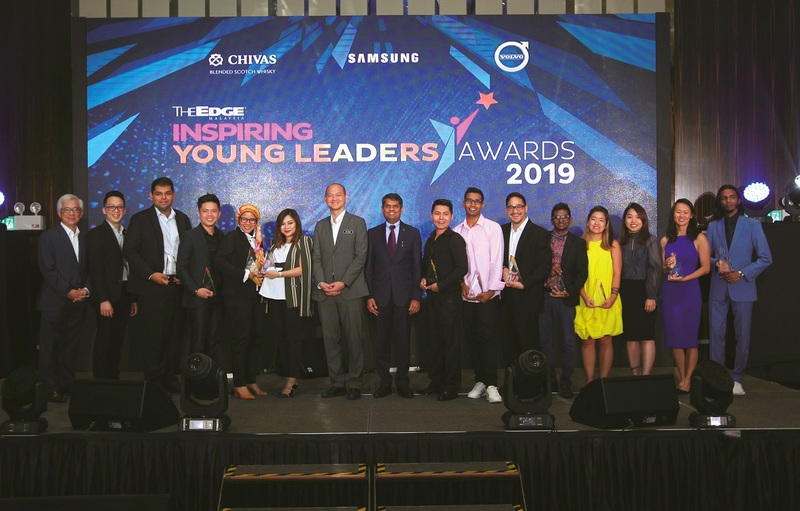 The Edge Inspiring Young Leaders Awards (TEIYLA) 2019 took place at the grand ballroom of Sheraton PJ Hotel last Tuesday, marking the second installment of the event organised by The Edge to recognise and honour young Malaysians who are making great strides in various fields. It was an evening of conviviality and fostering of relationships — both old and new — culminating with the sharing of the inspirational journeys and award-giving ceremony for the 12 recipients. In fact, TEIYLA 2019 is a result of building on such relationships, as seen in the successful collaboration between The Edge and partner brands Volvo Cars, Samsung and Chivas Regal. During the cocktail session, guests sipped whisky sours crafted using Chivas Regal 18 Year Old before making their way to dinner in the ballroom where a stunning, white Volvo XC40 was on display by the stage. The ceremony was graced by Deputy Minister of International Trade and Industry Dr Ong Kian Ming as the guest of honour alongside Volvo Malaysia managing director Nalin Jain, Chivas Regal group brand manager Benedict Yong and Samsung Malaysia Electronics public relations manager Lorraine Tan. 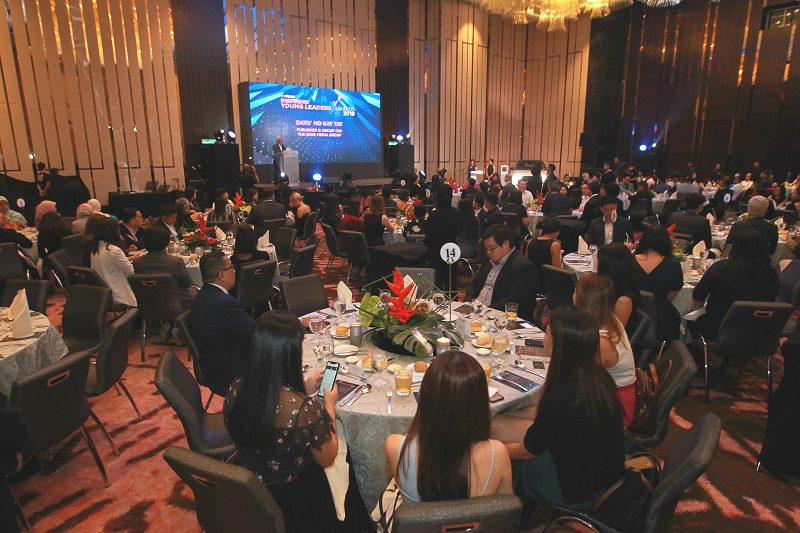 In his welcome address The Edge Media Group publisher and group CEO Datuk Ho Kay Tat said, “As a business media, The Edge has been running awards that are highly coveted — these are awards that recognise the financial performances of companies, CEOs and fund managers. In short, they are essentially all about profits and who are best at making money and rewarding their stakeholders. 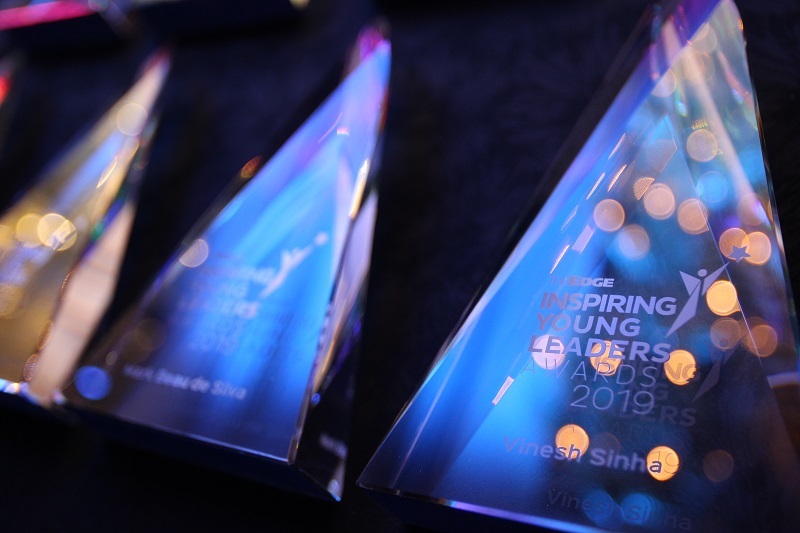 However, The Edge Inspiring Young Leaders Awards that we are giving out this evening look beyond pure business and financial results,” depicting the very essence of TEIYLA. While awaiting the announcement of award winners, guests enjoyed a three-course meal of cream of roasted Roma tomato, pan-seared salmon fillet or a vegetarian dish of mushroom ravioli, and mango and cherry yogurt parfait with chocolate sauce. On the vegetarian menu, there was roasted pumpkin soup, crespelle with vegetables and freshly sliced fruits with raspberry sorbet. The highlight of the event was the announcement of the TEIYLA 2019 recipients, followed by a short video introduction of themselves and the work that they are dedicated to. The 12 recipients representing 10 beneficiaries were from various industries encompassing arts, culture, the environment, sport, entrepreneurship, social enterprise and civil society, all of which are critical segments in any nation. They each took home a crystal trophy and a Samsung Galaxy S10 smartphone, courtesy of Samsung Malaysia Electronics. The men and women of the hour were founder of Gibbon Protection Society Malaysia, Mariani Ramli; co-founders of Eats, Shoots and Roots, Shao-Lyn Low and Beatrice Yong; filmmaker Shanjhey Kumar Perumal; founder of Othrs. Barbers, Lex Low; co-founders of Nation Building School, Marques Jeevan and Zaim Mohzani; founder and managing director of Wanderlust + Co, Jenn Low; founder and CEO of iHandal, Aaron Patel; director and writer-in-residence of KL Performing Arts Centre, Mark Beau de Silva; founder and managing director of FatHopes Energy Vinesh Sinha; and national figure skater Julian Yee (who was unable to receive his award in person as he is training in Canada for the World Championships 2019). During the dinner, Ong was also seen in conversation with past recipients of the inaugural award. At the TEIYLA alumni table, it was a happy reunion of Teach for Malaysia’s Dzameer Dzulkifli, Epic Homes’ John-Son Oei, Jayne Kennedy and Loh Jon Ming, Picha Project’s Kim Lim, Lee Swee Lin and Suzanne Ling, legal/campaign coordinator of Lawyers for Liberty Melissa Sasidaran as well as civil liberties lawyer Syahredzan Johan. “It was a great night to meet so many new faces as well as inspiring to see a leading business media channel acknowledge and celebrate young leaders in the social sector,” Dzameer said. His organisation, Teach for Malaysia, is dedicated to improving education and expanding opportunities for all children. Individually, the work undertaken by the awardees has far-reaching benefits but together they form a concerted effort for innovation and progress — and this drives the purpose of this award. The main intention of TEIYLA is to acknowledge remarkable endeavours and organisations, it was a platform for the meeting of minds and exchange of ideas between individuals and groups of varying backgrounds and expertise. Hopefully, this will lead to the fruition of strategic partnerships or even novel concepts. Who knows? The next TEIYLA recipient might be reading this. For more, subscribe to our digital copy here.